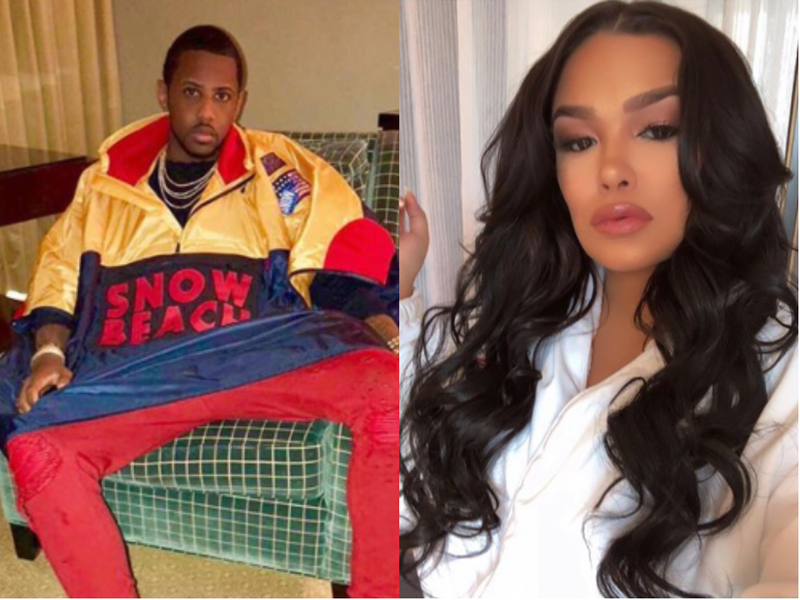 Fabolous allegedly punched out Emily B’s front teeth and threatened her with a gun - Ooooooo La La! The 40-year-old rapper was reportedly arrested the night of March 28, after he allegedly assaulted his girlfriend and baby mama, Emily B. After the rapper, whose real name is John Jackson, turned himself in at 8:30 p.m. on a domestic dispute charge, he was released from police custody, according to North Jersey. Court documents show that Fabolous “became enraged” while on a business trip in Los Angeles on March 7 when he found out via Instagram that Emily was in the same city. While on a flight back home, she told police that Fabolous texted her saying he wanted to hit her in the head with a baseball bat and that he would kill her but he “did not want to go out like that,” according to an affidavit of probable cause. According to an affidavit of probable cause, while on a flight back from Los Angeles, the victim told police that Fabolous said via text he wanted to hit her in the head with a baseball bat and that he would kill her but he "did not want to go out like that." The victim told police she was scared because of the March 7 incident. The victim was later punched by Jackson seven times in the face "causing severe damage to her two front teeth." She ended up losing her two front teeth, according to court documents. Because of the incident, "the victim called her father to remove two handguns from the residence due to her fear that they may be used against her," according to the affidavit. When Fabolous arrived at the Kenwood Street residence, he confronted the victim, her brother, and father, but then went to the upstairs of the residence looking for the handguns which had been removed. "When he could not locate the guns, the defendant left the house, but not before informing the victim, her father and her brother that he had a bullet for them," according to court documents, hence the two felonies he got charged with: aggravated assault and making a terroristic threat.